Felony wrote: August means it's time for another school year to begin. 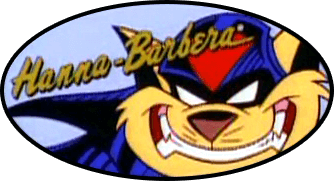 While the SWAT Kats have schooled many a villain, they themselves have completed their own education in the classroom. This challenge is to venture back in time to those days of pencils, books and teachers' dirty looks for the SWAT Kats characters. What was Chance like in high school? Did Ann Gora join a sorority in her college years? Was Dr. Viper picked on as a kitten in elementary school? Choose one or more SWAT Kats characters from the series and show us what their time in school was like at any given level from preschool to college. 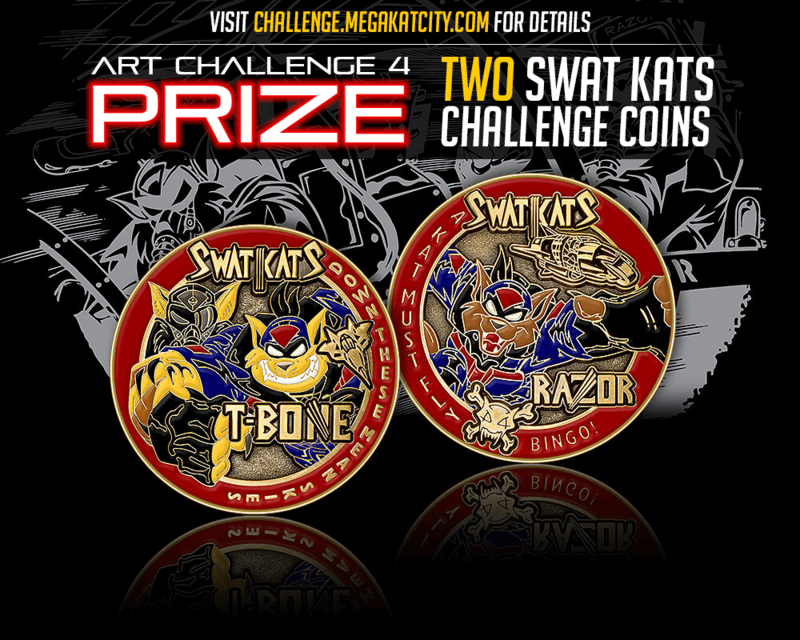 And, for this go-around, the prize is TWO SWAT Kats Challenge coins for the winner. Already have a coin? Well, this is your opportunity to get more. Details regarding the challenge rules can be found on the Challenge landing page here. Spread the word among your fellow SWAT Kats fans and artists. The DEADLINE for this challenge is Tuesday, September 5, 2017. As a reminder, you have the option of posting your artwork to this thread in advance. Or if you want, you can wait until the very end, but IT MUST be posted to this thread no later than the deadline to qualify for the member vote/poll. 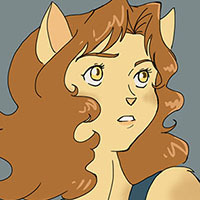 And, remember, to participate as an artist and to be able to vote you must be a member of the MegakatCity.com forum. Just today I was thinking of a picture that could possibly fit this challenge. I will try to make an entry if I can fit it into my schedule. You're never to old to doodle in class. This must be why they talked back to the commander, they weren't paying attention. Now I want to shoot down paper air plains with rubber bands. Jiesi wrote: You're never to old to doodle in class. This must be why they talked back to the commander, they weren't paying attention. Now I want to shoot down paper air plains with rubber bands. Thanks. I don't know if flying erasers would help. I had a teacher who whould through it at my crush every now and then. Those catholic schools were tough lol. I probably should of drawn it by hand, still getting use to drawing on the computer. I have no concept of scale, pixels etc. Cute picture! I like it! The contest is off to a great start! I have a lot of ideas for this one, I'm just having trouble deciding which one to do for the challenge in particular. LowdogCraft wrote: I have a lot of ideas for this one, I'm just having trouble deciding which one to do for the challenge in particular. Why deciding? Just draw them all! "You don't know what a delightful dilemma it was, trying to decide on the most appropriate method for this challenge. Oh, I had so many ingenious ideas I didn't know which to choose. So I decided to use them all."